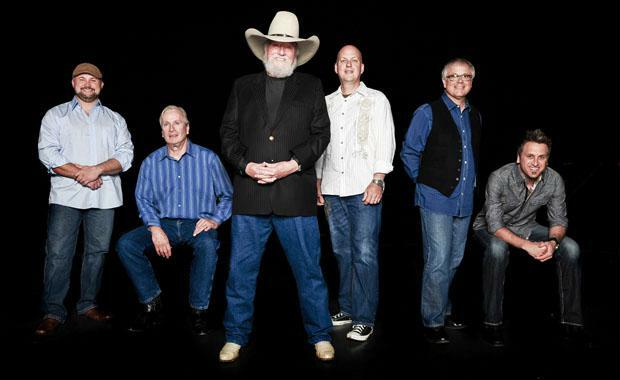 Charlie Daniels Band is one of the shows in Branson not to be missed this season as they hit again the Branson stage for a one-night performance at The Mansion Theatre on November 3, 2018, Saturday at 8 pm. The Legend of Country and Southern Rock will entertain Branson audiences with amazing music that are especially custom-made for you. The band will perform from a catalog of hit songs that span the genres of country, rock, bluegrass, gospel, and the blues. Their familiar sound is always a welcome presence in this popular entertainment hub in the Midwest. This is your chance to hear everyone’s favorite song, “The Devil Went Down to Georgia”, that hit the top of the country chart and placed in the top five on Billboard’s pop chart. The country song also scored Charlie Daniels Band a Grammy Award for Best Performance by a Group or Duo, as well as a Single of the Year Award from the Country Music Association. The band have recorded several other hit records that include Simple Man, Boogie Woogie Fiddle Country Blues, Drinkin’ My Baby Goodbye, South’s Gonna Do It, and The Legend of Wooly Swamp. Aside from the two Grammy’s awarded to Charlie Daniels Band, they have captured also the attention of just about every music industry award organization: The Academy of Country Music, the Country Music Association, and the Gospel Music Association and more have honored the country rockers with awards. Charlie Daniels was honored for his work in music and became a member of the Grand Ole Opry. The invitation surprised Charlie Daniels when Martina McBride delivered it during his annual Christmas For Kids benefit. Charlie officially inducted in 2008, after a half century of his music career. The legendary country rock band who gave us music’s most iconic fiddle song, doesn’t seem to be slowing down anytime soon. The band is still travelling across the country with their collection of country songs. Charlie’s passion to amuse audiences, doesn’t end with a great song, he supports a variety of charitable organizations, including the T. J. Martell Foundation, an organization that aids in cancer research, The Journey Home Project, helping veterans of the armed forces, and St. Jude’s Children’s Hospital. Charlie Daniels’ commitment to giving back demonstrates that he is one big-time celebrity who puts his money where his heart is. It’s not just the countless diehard fans who’ve recognized the seemingly endless talent of the music legend that defies simple genre labels – you can hear the music of Charlie on country, rock, and bluegrass radio, among other genres. In addition to entertaining audiences, Charlie has also popped up in movies, including a role as himself in the hit Urban Cowboy, and on television in shows like The Fall Guy, Murder She Wrote, and King of the Hill. So, if you want to watch one of the best shows in Branson this fall, be sure to include this in your list, a one-night performance of Charlie Daniels Band at The Mansion Theatre.